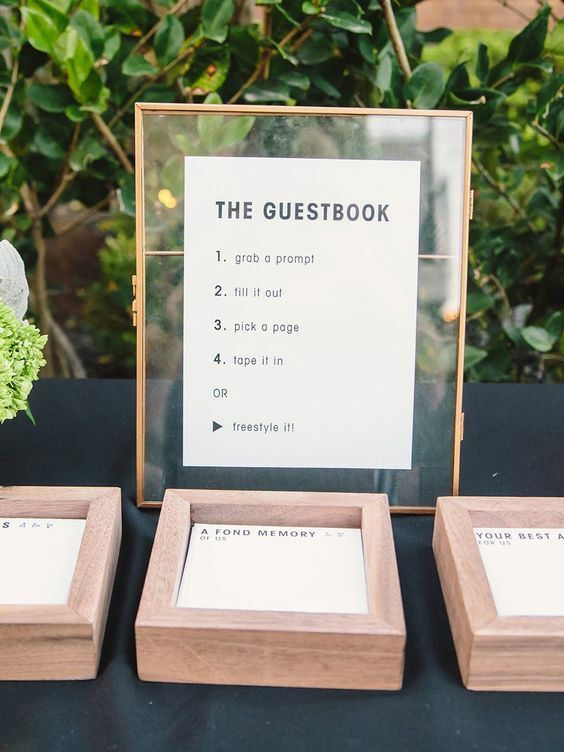 A guest book is a must for every wedding: this way you’ll get a lot of greetings and wishes that will warm up your heart not even once after the wedding. 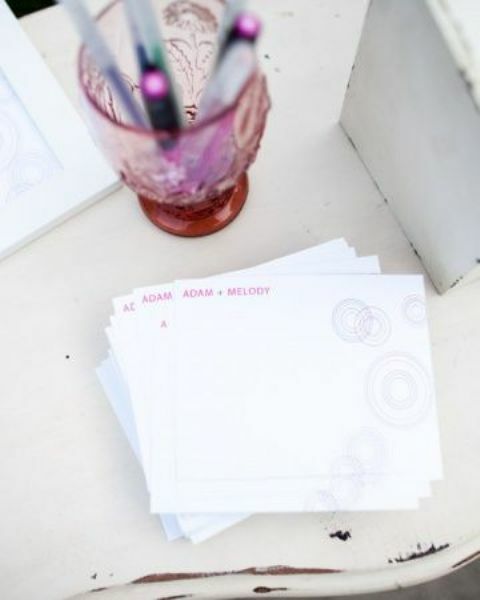 You may also ask for date ideas, recipes, first child names and many other things that your guests may offer you. 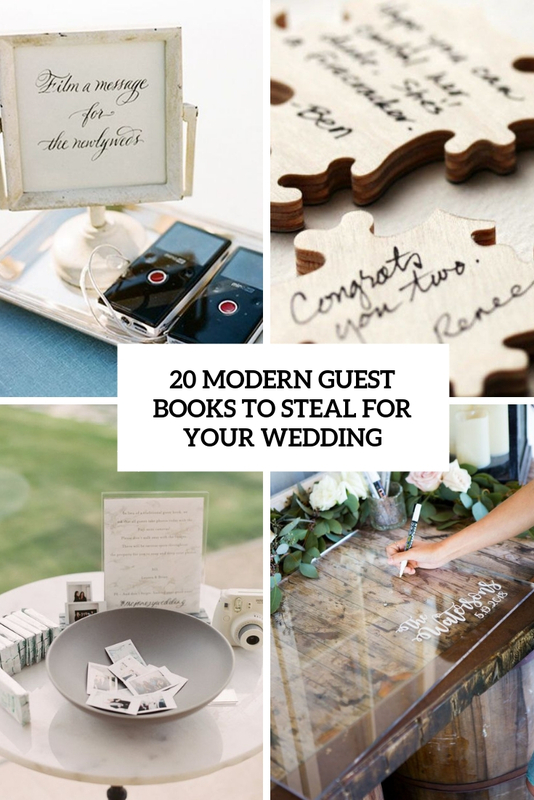 As we see more and more modern and minimalist weddings, I decided to round up some ideas for those of you who are going this way. 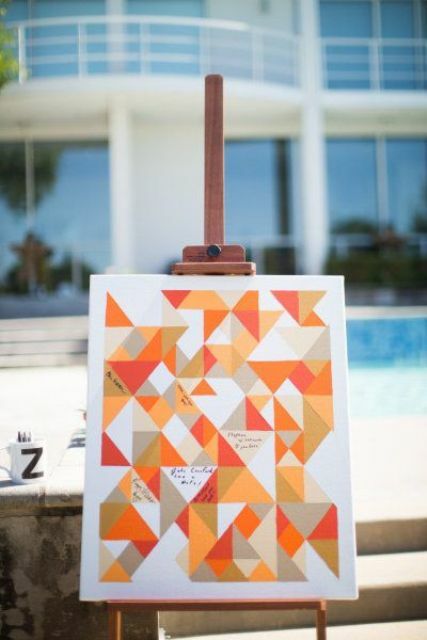 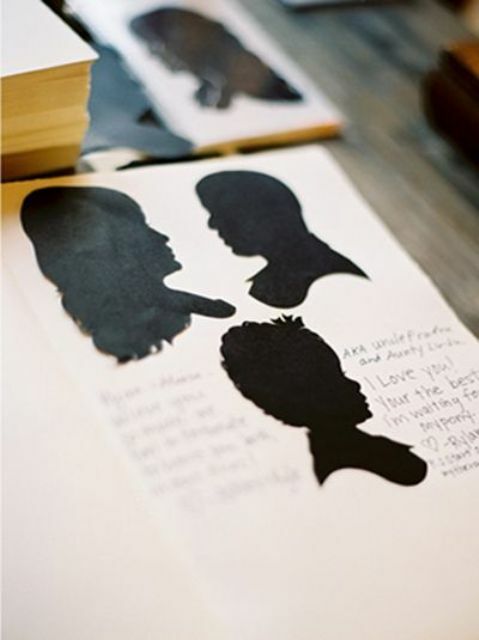 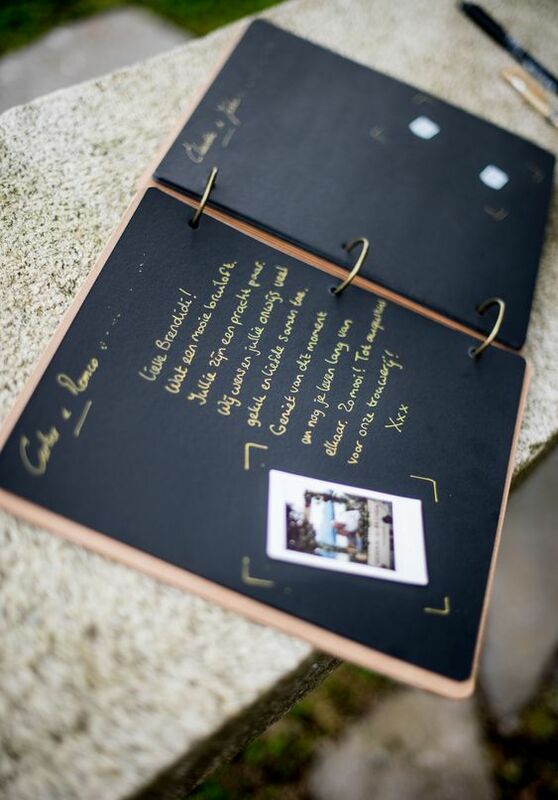 One of the most popular and boldest ideas of a guest book today is a photo guest book. 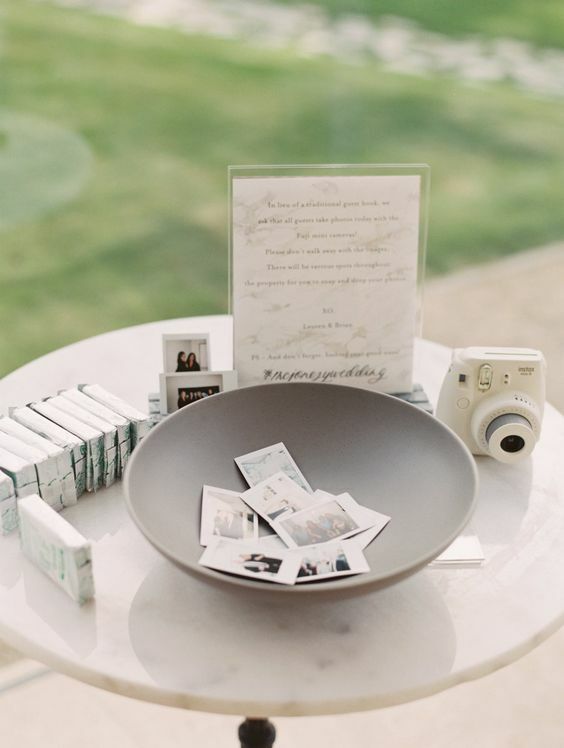 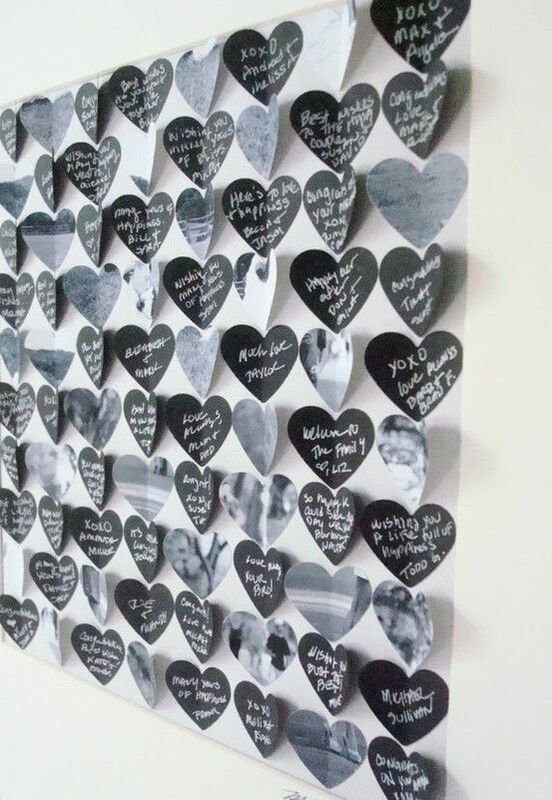 Place a Polaroid or Instax camera on the table, add cards to attach the photos or a whole guest books to insert them and add some pens and pencils for leaving messages and wishing you love. 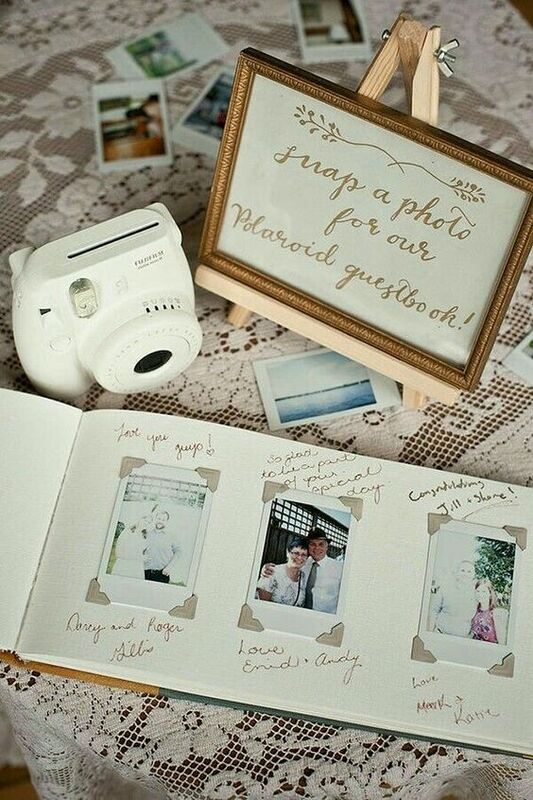 Photos will make your guest book clearer and will arise more memories than usual cards. 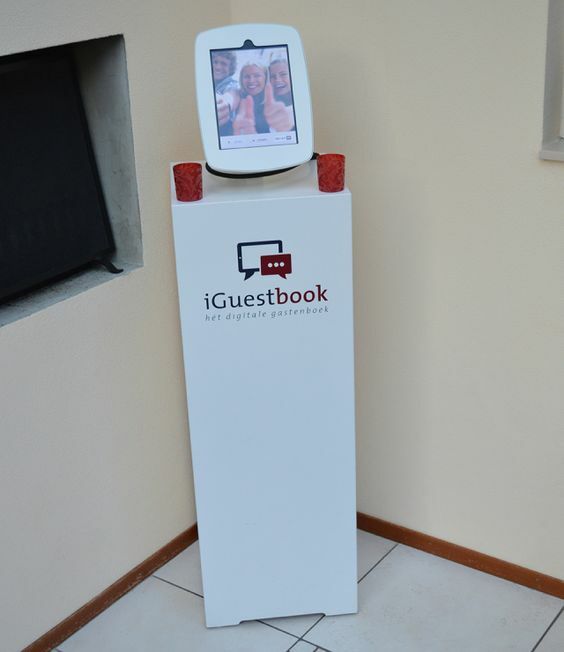 Go even further and create a video photo booth as a guest book. 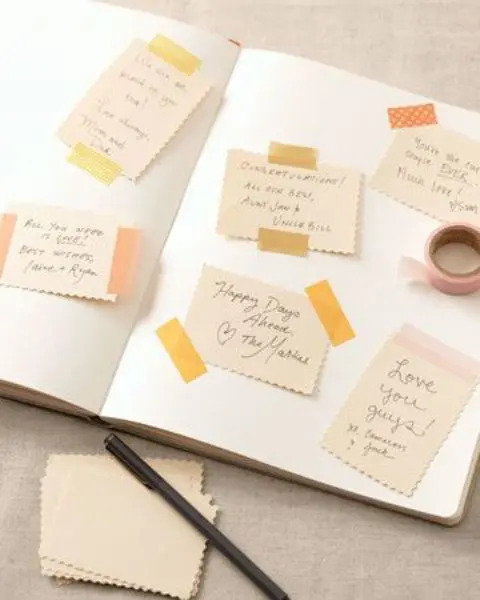 This is an ultra-modern idea that will save much paper and won’t require much fuss: you won’t need to make any boxes, pens, pencils and stuff like that – only an iPad, a tablet or something like that. 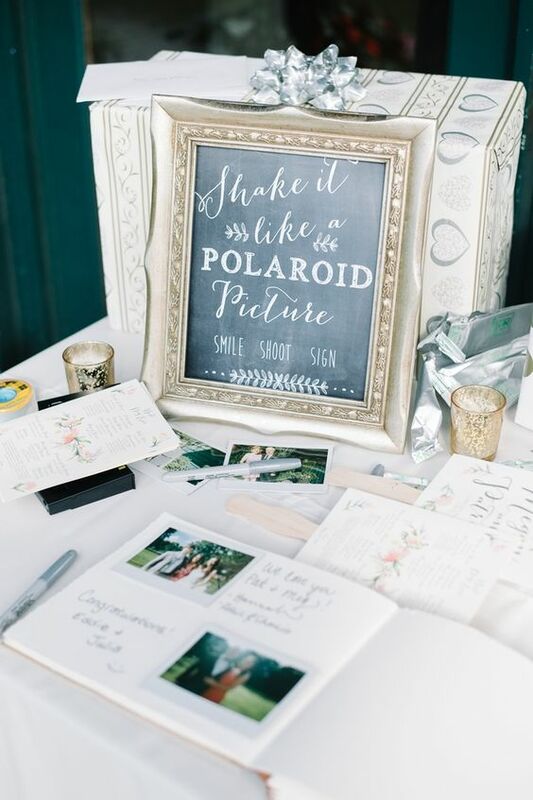 Add a sign to clear up what to do and let your guests greet you with amazing videos – what can be more natural than their wishes at the moment of celebration? 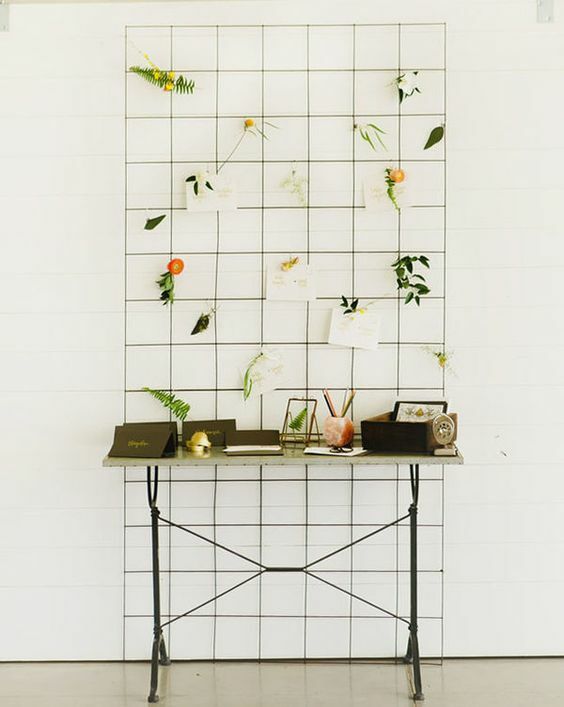 Paper and cardboard are always a good idea for making a guest book, and there are many modern ways to incorporate them into your decor. 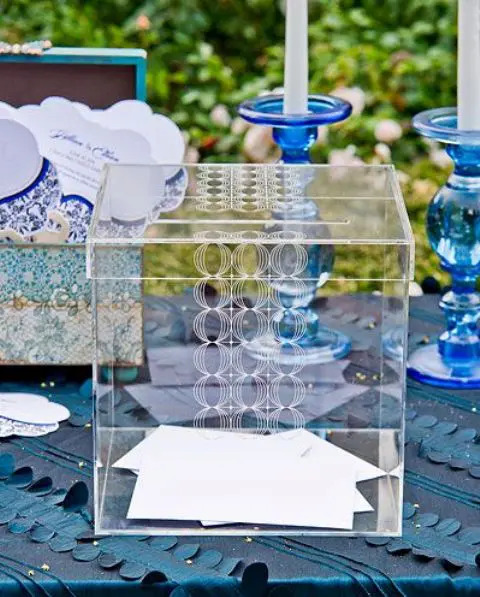 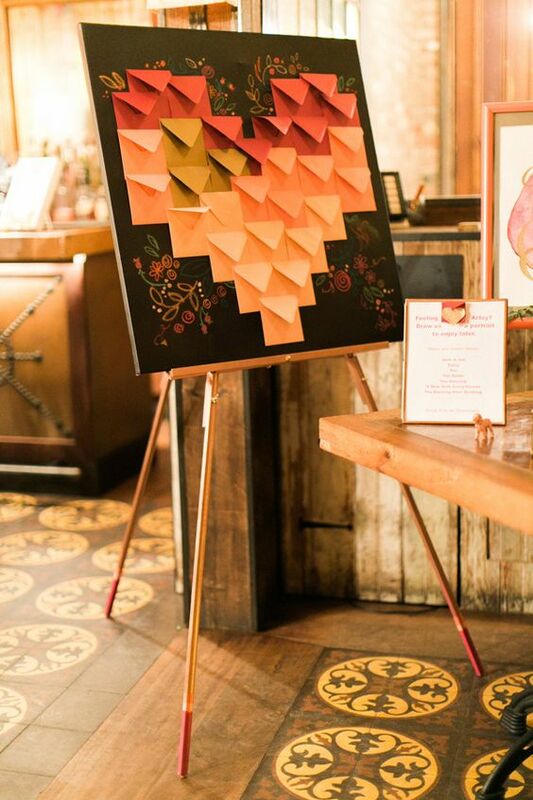 It can be a guest book with cards, an artwork with bold geometry to write on, an artwork of a heart composed of ombre envelopes, an acrylic box with cards to write on and much more. 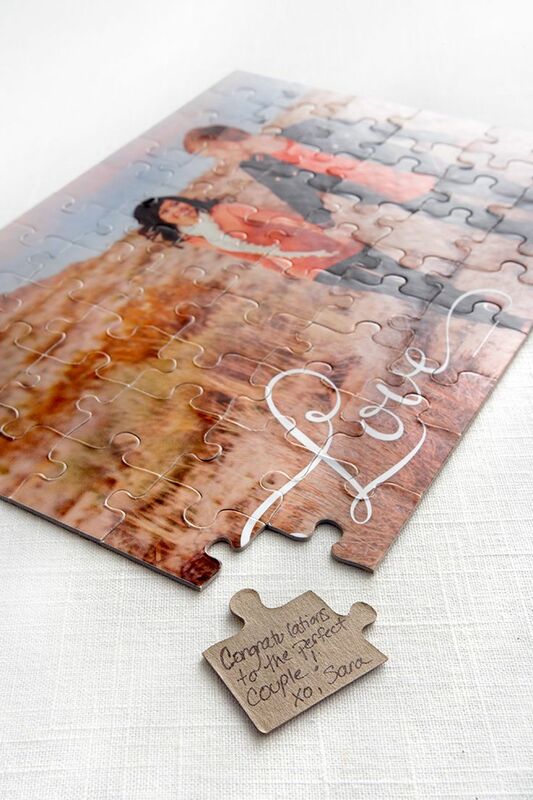 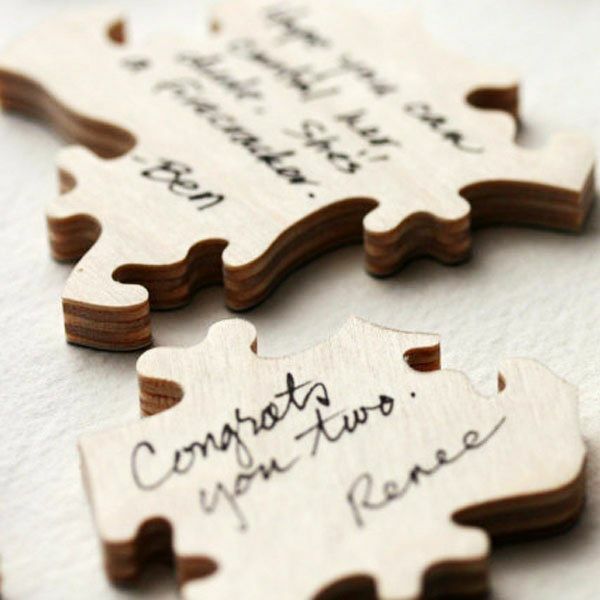 If you are looking for very eye-catchy ideas, try a puzzle made of your couple’s photo and let your guests write on each piece. 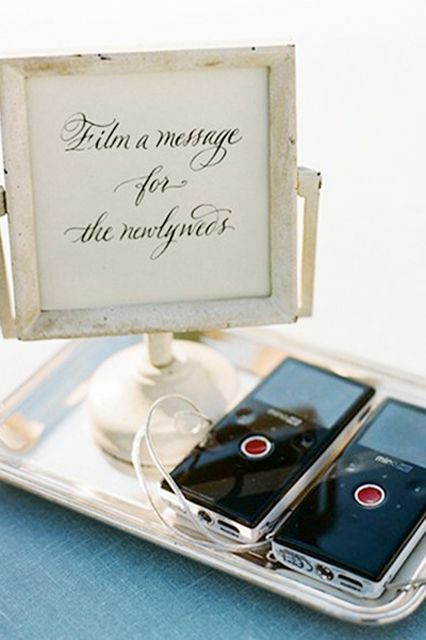 Acryl is a modern material and you may order an acrylic sign or a monogram of it to write on. 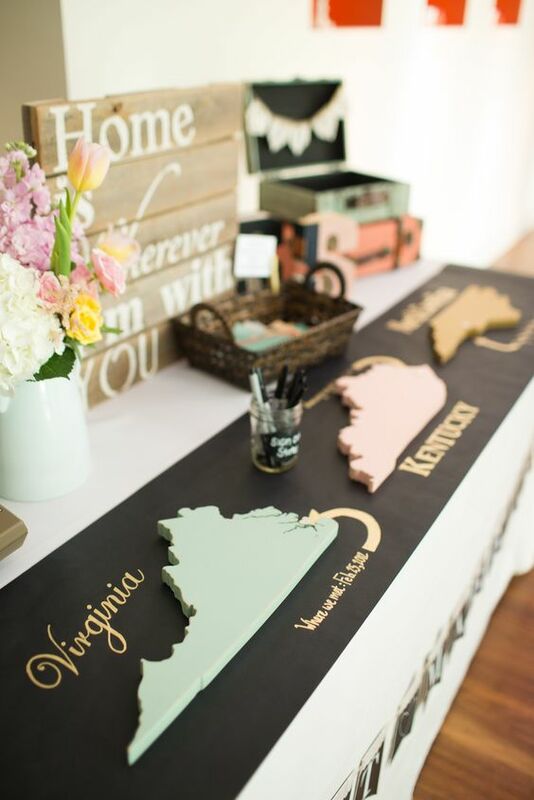 Make maps of various states which you’ve been to and let your guests write on them if it’s a travel-themed wedding. 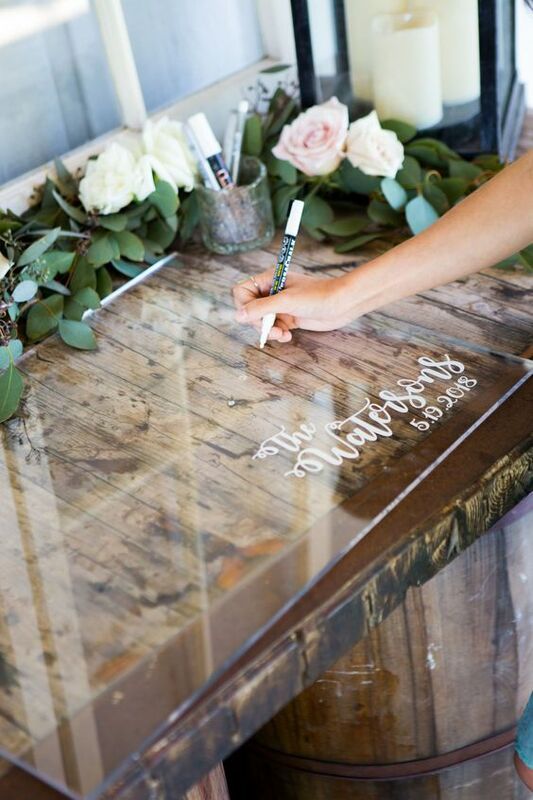 Rock a large monogram, on which your guests will leave wishes, it will fit any home decor later.